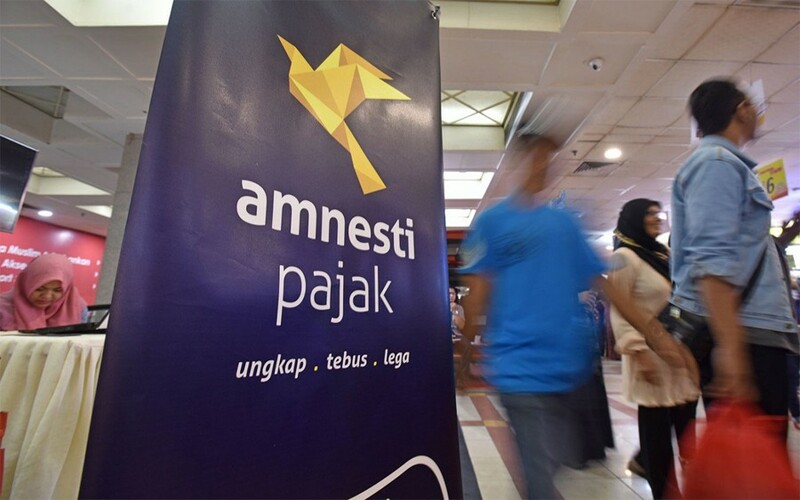 The tax amnesty’s progress has been slow in the third round, or final round, as the redemption payment that has been collected since it started in early January only reached Rp 710 billion (US$53.25 million), far from the figures of the previous two rounds. The third round will end in March. The redemption payment of the first round from July to September reached Rp 97.2 trillion, while the redemption of the second round from October to December reached Rp 6 trillion. “Many businessmen have not taken part in the tax amnesty. So we will not only target small and medium enterprises (SMEs),” said Finance Ministry’s director general of taxation Ken Dwijugiasteadi as reported by tempo.co on Tuesday. From the third round figure thus far, Rp 460 billion came from individuals of SMEs owners, Rp 160 billion from individuals of non-SMEs owners, Rp 60 billion from non-SMEs institutions and Rp 30 billion from SMEs businesses. Ken said he would continue to invite people to take part in the tax amnesty. “For those who are considering [taking part], it is better to join the program immediately,” he said, adding that the law would be enforced soon after the tax amnesty ends.